Erection of Barge Loader/Unloader Crane at Essar Salaya Jetty under Marine Conditions. 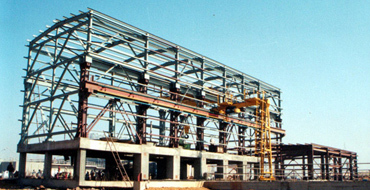 Superlift: Truss Erection of Isobutylene Isoprene Rubber Plant, RIL Jamnagar. 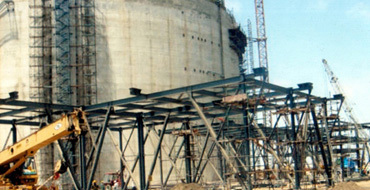 Fabrication and Erection of DHDT Circular Heater of Essar Projects (I) Ltd. for EOL, Vadinar. Incorporated in the year 1998, we are one of the upcoming mechanical construction firm in the field of site fabrication tanks, piping, fabrication and erection of equipment, structural work. As regards the execution of the job, our aim is to discharge our best to attain qualitative output within the stipulated time frame. Director (Refinery), Essar Oil Limited. Highest production of 31319 Inch Dia. by working in bays of PFS -2 during the month of December – 2014. Achievement for more than Two Million Safe Man Hours in J3 DTA PFS Complex. Achievement of Zero Accident without Lost Time Incident for HMU-II Project. Quality of work remained appreciable as per ISO 9001-2008 QMS standard/ project specification. Best Contractor Award for their efforts to deliver the highest HSE Standards at Shop Floor area PFS -2, during the year of 2016. Over 4000 MT of Structural Steel Erected within a schedule period along with a single lift module erection of 49 MT of 4 Numbers. 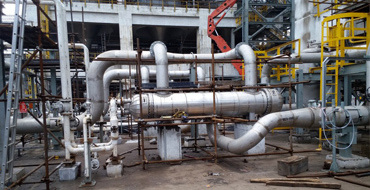 Successfully completed fabrication and erection work of 1,29,500 Inch Dia, 1,15,700 Inch Mtr, 147 MT of Structure & 189 MT of SS Tanks fabrication in a compact schedule of four and half months. Very pleasure to announce that successful completion of hydro test of 1,04,544 INM (88.6%) of base scope IIR Phase - I.
Victoriously executed 1110 MT of multiple equipment Erection with 3 numbers of cranes specially with a tyre mounted crane of 450 MT. Fabrication, Erection of Piping over 14,000 Inch Dia. and 49,000 Inch Mtr. 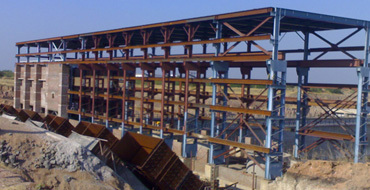 along with structural erection of 750 MT. 109 & 304, Silver Coin, Shrenik Park Char Rasta, Productivity Road, Akota, Vadodara – 390020. Copyrights © 2017 TEPL. All rights reserved.